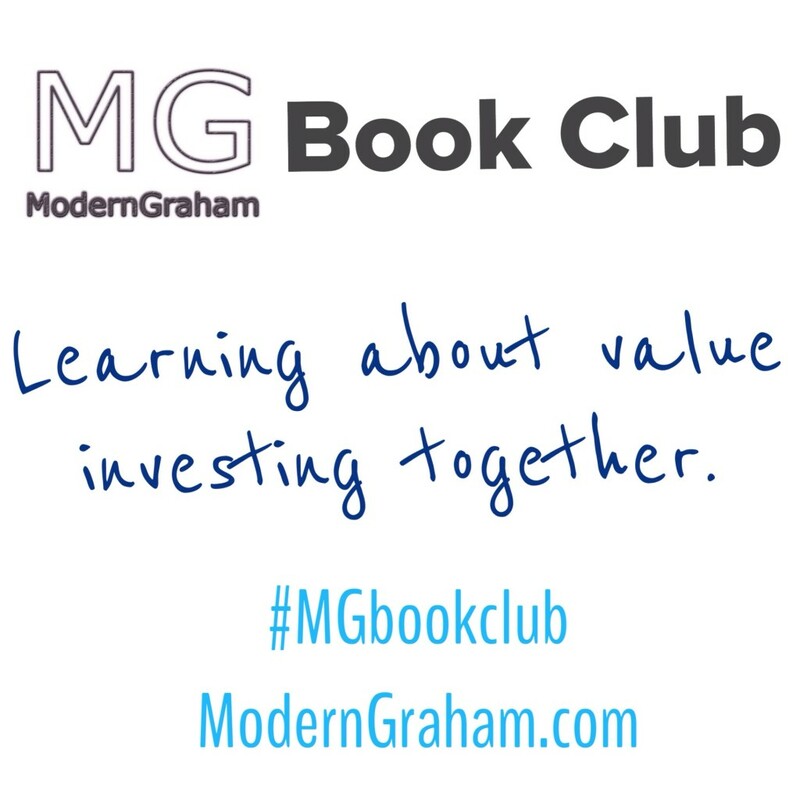 This is the third discussion of the ModernGraham Book Club’s reading of The Intelligent Investor by Benjamin Graham (affiliate link). In last week’s discussion, we talked about the second chapter, dealing with the effects of Inflation. This week we will discuss the third chapter, which is entitled “A Century of Stock-Market History: The Level of Stock Prices in Early 1972.” I encourage you to purchase the book (preferably by clicking the link to Amazon, because a purchase through that link will help support the club) and join in with us as we read through a chapter each week; however, even if you don’t have the book I think you will find our discussions to be very useful in your own understanding of value investing, and you can still bring a lot to the discussion from your own experiences as an investor. Whether this is the first day you’ve ever been interested in investing, or you have decades of experience with the stock market, we’d love to hear your thoughts in the comments below! In this chapter, Graham explores the history of the stock market, paying particular attention to the highs and lows of the period from 1871 to 1972. Graham found that the market went through a series of bull and bear markets, during which there were very great swings in the public perception of common stocks. Graham came to the conclusion that it is critical to deeply analyze the market data, rather than extrapolating an expected result merely from the feelings one gets from the market. In other words, when the market is steadily rising in a bull market, the easy reaction is to become exuberant about where it may head while in a bear market it is easy to be swayed by the many pundits who claim stocks are far too risky, but overall an Intelligent Investor may be able to determine based on the data whether the market is overpricing or underpricing. From that determination, the Intelligent Investor can then decide whether the market will continue its trend, or if a change in direction may be expected (though the precise timing can never be predicted). Please feel free to leave a comment on this post with your own responses to the questions, along with any other thoughts you have, and return throughout the next couple of days to see what others have said. We’ve had some great discussions the last few weeks, so keep it up! I think this chapter is a great history lesson, and the concepts taught here have applied to the market in the 40+ years since 1972. I’m young and don’t have detailed memories of the 1980’s and 1990’s bull markets, but I do remember a number of friends parents expressing a belief that their equity investments would always continue to rise. I also remember during the heart of the financial crisis, a colleague of mine chose to sell a large portion of his equity holdings in favor of moving to bonds because of the uncertainty inherent in the market at the time, only to discover that he ended up selling at the low point in the market. It is critical to remember that the market will always fluctuate widely over time, and we must leave emotions out of the value equation, choosing instead to understand history and the fact that over time the return on equity investments will rise even in spite of the swings. In this chapter of The Intelligent Investor, Graham does an excellent job proving why using history to study future trends is not an infallible method. Through a detailed analysis of stocks over time, he highlights how predicted trends turn out to be not-so-predictable after all. Once again he urges investors to make their own decisions and when in doubt, chose caution. What I took away most from this chapter was the underlying reminder that stocks are companies. I wouldn’t buy a bakery just because I saw a bunch of people eating there, nor should I invest in a company just because they’re considered the next “big thing”. We can spend infinite hours understanding the past, but that is not a guarantee that companies will perform well tomorrow. What quote from this chapter do you think best summarizes the point Graham is making? Do you have any interesting anecdotes or experiences to share relating to some market highs or lows? The market has been on a continued rise over the last couple of years. Using data-based analysis, rather than emotion or “hunches” where do you expect the market to go in the next couple of years? What did you think of the chapter overall? When reading the next chapter, try to think about which investor type you are, and consider your own portfolio and how Graham’s teachings in the chapter may affect your future investment decisions. 2. It was hard to see my portfolio drop 40% in value during the great recession of 08-09, but in hindsight I am happy to have left well enough alone and patiently waited for its recovery followed by impressive growth. It is nice to have been battle-tested so to speak. I feel much more equipped to experience that again without reacting in a counterproductive way. 3. Using data-based analysis, I expect the market to follow the US and world economies, which has been showing signs of slowly increasing growth rates. How long that growth improvement will last is impossible to know because there is no data for the future yet. History shows us that every time a big scary event happens the markets will retract almost immediately until calmer heads determine the true impact the event will really have on the economies of the world. Then the markets adjust accordingly. More important is finding quality companies undervalued in the market place and taking advantage of the companies’ mis-pricing by the market. 4. Not much to take away from this chapter except the fact that the stock market is unpredictable yet more profitable in the long run than any other option available to the investor. How much you will make and how quickly that will happen is unknown but whatever it turns out to be, in the long run, it will have been the best choice – assuming one is applying the principles of intelligent investing. I’m glad to hear your portfolio has recovered from the 08-09 drop. It is definitely a good feeling to be battle-tested and know you can withstand the emotional stress of a downturn in Mr. Market’s feelings! 1. What quote from this chapter do you think best summarizes the point Graham is making? 2. Do you have any interesting anecdotes or experiences to share relating to some market highs or lows? Not really. But in hindsight I wish that I had been a little less fearful, and a little greedier, during the financial crisis back in 2008-2009 and that I had taken better care of the opportunities present back then. With hindsight bias at your side I guess it’s always easy to feel that way. 3. The market has been on a continued rise over the last couple of years. Using data-based analysis, rather than emotion or “hunches” where do you expect the market to go in the next couple of years? The hardest question of them all. Where do you expect the market to go? I don’t really know. Below is my expectations from the figures I’ve found at the moment for earnings growth, inflation and dividend yield. If someone has some good resources where one can easily find data for earnings growth, dividend yield (S&P 500 etc) and inflation – feel free to share. Also, should share buy-backs be considered in the calculation below – money that could have been paid out as dividends and thus higher dividends and dividend yield? Any thought on this issue? 4. What did you think of the chapter overall? I enjoyed the chapter. Interesting to see how history has emerged and how stock prices have fluctuated compared to earnings, dividends and CPI. Hurricane Capital, thanks for your thoughts. It definitely is easy to look back on 08-09 and think “man I wish I had put more money in then!” but the reality is that it is extremely hard to take out the emotions. That said, if you have analyzed the data and remember that the market will always rebound (just like it will always fall), then it is much easier to put the money in when the data indicates the prices are low. Graham believed that looking at average prices, earnings and dividends for each decade, to the present, one cannot determine what will happen to prices, earnings and dividends for the next decade, although performance should provide enthusiasm for investing in stocks over the long-term. I think prices will continue to rise until all the money that has been printed is soaked up. Overall, I enjoyed the historical perspective. I think it is very important. Mark, I agree that it is difficult to determine how prices will move in the market, but I do think it is possible to determine that in general prices may be overvalued. Once the investor makes that determination, I think the likelihood of a drop in the market increases substantially. Right now, it seems prices are approaching that level, but have a bit of wiggle room. I know from my calculations, the market as a whole falls within my margin of safety, indicating it could go in either direction right now. 1)	I like two quotes from this chapter that follow Graham’s thesis that you cannot reliably predict the market. He first,”…The value of any investment is, and always must be, a function of the price you pay for it…But that did not mean – nor could it ever mean – that stocks are worth buying at any price. Since profits that companies can earn are finite, the price that investors should be willing to pay for stocks must also be finite.” The last quote I like is, “The work of a financial analyst falls somewhere in the middle between that of a mathematician and of an orator. 2)	I did not have enough money in bonds during the recent recession, so I was on the ride like everyone else. I did trade on emotion, and early on moved a significant portion of my portfolio into bonds. I was a little luck to capture some bond movement, but that did not offset my equity losses. Then I moved most of my portfolio back to equities around the time of the budget battles. Overall, I think I fared well relative to the average investor. Looking back with 20/20 – I should have had equity bond mix 50/50 or 75/25 portfolio going into the recession, and then I would have had the option to take advantage of the market during the recession. 4)	I enjoyed the chapter overall. It helps to gain the broad prospective, and to understand the market movements of the past. This recession was not new, and you can better plan for the next one if you understand their dynamics. John, thanks for your thoughts. I too liked the comparison of financial advisors to mathematicians and orators!